With the 2015 drought in California, the Turtle Bay Arboretum in Redding CA has shut down many of the art pieces that incorporate water. Despite the lack of rain and the lowering water table, one piece uses water with minimal impact and hence continues to burble; this is The Sounds of Water. I made the The Sounds of Water in 2004. It uses water to model human and natural systems. Water flows out of fountains, over rock carvings and through channels. It is then recycled through a wetland, creating a closed system that conserves resources. Beginning with my design for the urban park The Living Water Garden, 1998, in Chengdu China, all my public artworks showcase wetlands. All too often, our culture doesn’t value wetlands: you cannot build on them, they are not traditionally suited for recreation. In essence they are in the way of development, industry and financial profit. I work with wetlands because they are the creative interaction between water and the earth. It is very important, as an artist, to put this value before the public. My piece The Living Water Garden demonstrates how a series of wetlands, lush and beautiful, can sequester and clean water. Wetlands generate huge amounts of life. They can become nature reserves, and a place for humans to be reminded of the intense complexity of the natural world. Art communicates, it allows us to demonstrate non-traditional ideas to others who can take action. 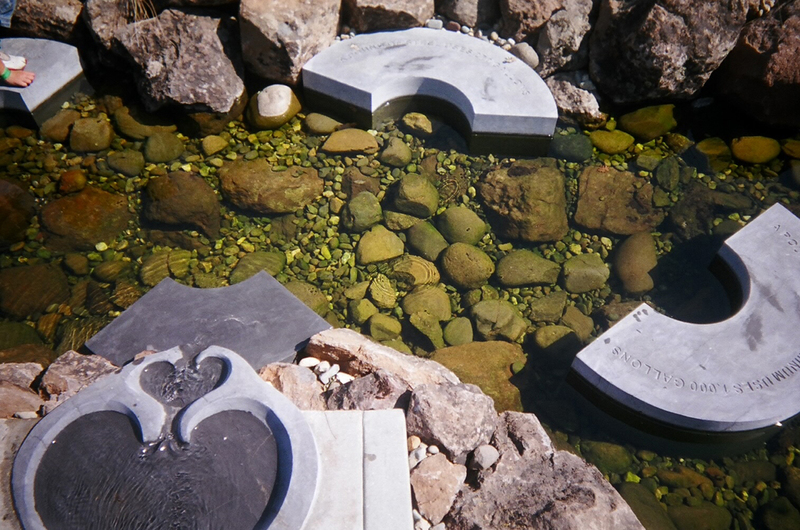 When The Living Water Garden was built, it introduced the concept of wetlands as a nurturing and sustainable landscaping. From this project the Chengdu Urban River Association was created and they went on to make wetland systems in northern Chengdu. Soon after the completion of The Living Water Garden, the Chinese government issued the China National Wetland Conservation Action Plan. It was acknowledge that planning and design had to consider healthy water systems. I went on to work with the Beijing Water Bureau and later contributed the wetland design in the Beijing Olympic Forest Park. Art makes a difference. It starts conversations and opens eyes. I work with wetlands because they epitomize regeneration and the creative fervour that we need for the survival of the planet.